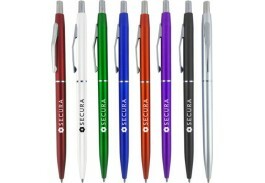 Custom click pens are perennial favorites. Besides making that authoritative, telltale click when you open or close them, they're efficient and dependable. 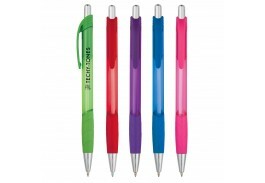 When you're through using them, just click them and put them away in a pocket or purse without worrying about dribbling ink or losing a cap. 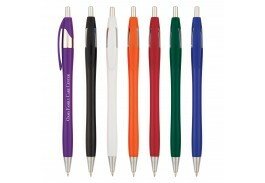 At the Promotional Pen Store, we offer a huge variety of promotional retractable pens that are perfect for getting the word out about your business or organization. 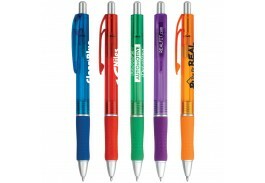 Customized click pens offer a convenient, inexpensive way to publicize your enterprise. 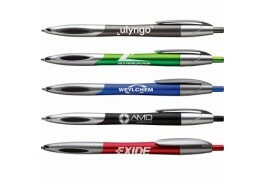 With a promo click pen, personalized messages and logos can spread far and wide to boost your brand. Hand these out to customers at your business or to those who visit you at trade shows, job fairs and other public events. 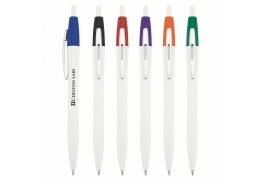 Give them to your hard-working employees as a small token of your gratitude. 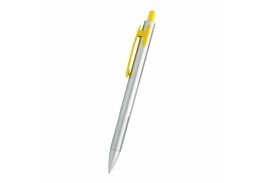 Leave a basket on the counter next to the cash register at your business so customers can write a check and take your pen and your name with them. 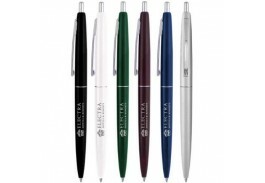 Since everyone needs pens, there's no telling how far each of your promotional pens will travel and how many people will see your message. 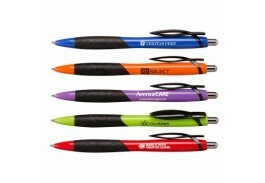 With a custom imprinted click pen featuring your logo or message, custom branding is simple and convenient. If you don't already have a branding message or logo, no worries. 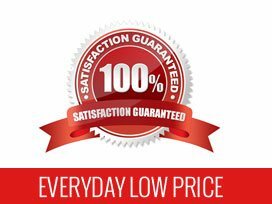 Call us toll free or email us and we'll give you some free advice on how best to spread your message. 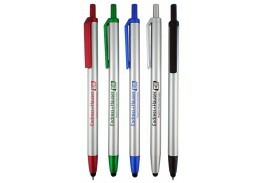 At the Promotional Pen Store, you have plenty of options. 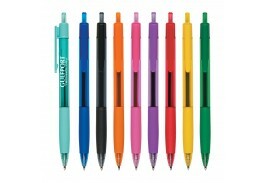 We stock more than 100 styles of customizable click pens, so you can find the type that best builds your organization's brand equity. 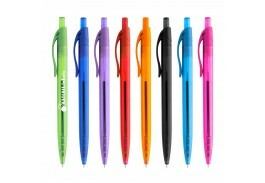 These pens are available in many shapes and sizes, from wide body and fat to thin and sleek, and lots of eye-catching colors that will help attract attention to your message. 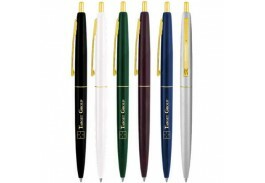 We have custom pens with a rubber grip for a comfortable hold, as well as shiny-barrel pens that hint at glamour. 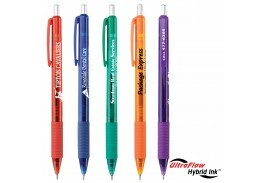 Pick from loads of attractive colors as well as lots of interesting inks.